It’s for the manager to decide the best way to organise his or her employees. Groups naturally form in society to get things done and firms have likewise found that having employees work in groups is useful to meet business aims. When the Wild Boars football team was trapped deep inside the Tham Luang cave in Thailand, it was cooperation between dispirate individuals that got the 12 kids and their coach out. John Volanthen, an IT consultant, Richard Stanton, a former firefighter, Australian doctor Richard Harris and a host of other foreign and local divers and engineers worked together. There was no time for teambuilding. They formed ad hoc groups to meet the aim of successful rescue. Many managers talk synonymously about groups and teams. And yet there’s a huge difference in the manager and member energy needed to build and sustain each and so definitions are essential. A team is a small, closely knit collection of individuals who train and perform together. The emphasis here is on training. A team likely trains more than it performs. A team typically performs when needed without external management input. There are a host of examples of teams: a fire station ‘watch’, a football team, a Special Forces patrol. A team trains so hard together that they learn one another’s characters, needs, preferences and personalities. They learn to second guess one another because, typically, they are involved in routine but high-intensity work. Each knows the next step in the process. Each is looking out for, protecting and helping the team members. And team performance and outcomes reign supreme over personal performance or gain. But the cost of building and maintaining a team is huge. It’s for the manager to determine if he or she needs a team, or if some other form of group, that takes less time investment to achieve and sustain, will achieve what’s needed. Most managers would ultimately agree that they don’t need teams as they’re defined here. Most managers need functioning, effective, cooperative employees working in groups to provide mutual support. The emphasis here is on cooperation. Group members need to build mutual trust by being reliable colleagues. Each needs to be competent in his or her own job. And each needs to communicate well, express meaning and work through difficulties. Unlike social groups that form to make society function, work groups have a very specific purpose, defined by the manager. A small firm will comprise a single group. Managers will divide super-groups into smaller groups and sub-groups as the firm grows. There’s a useful five-step sequence that describes a group lifecycle – forming, storming, norming, performing and disbanding. Storming describes the phase after formation when the group members sort out their issues and begin to develop the trust needed to become cooperative colleagues. Norming describes when they cease to be a plurality of individuals and gel to establish norms of behaviour in pursuit of common goals. After the initial shakedown, the group performs until a time when the manager has no further use for the group in its extant form. Most managers adopt ready-formed groups that are already well into the performing phase. Many groups will have problems caused by difficulties in their storming and norming phases. Many groups will be plagued by leavers and joiners interrupting group processes. And many managers will be struggling to sub-divide and re-form groups to meet new purposes. Group organisation in firms is dynamic. There are four key requirements in building groups. Firstly, group members should be competent in their jobs. Secondly, members should be encouraged to cooperate rather than compete. Thirdly, members should stimulate one another such that their collective effort is greater than the sum of their individual efforts. And fourthly, the manager as group leader should deliberately orchestrate the group outcomes by intervening in group activity. In order to ‘be’ a group, members must interact. Interaction requires a face to face presence – simple when co-located and working the same hours, but difficult when group members work remotely, perhaps across time zones. The value of the group is two-fold. Firstly, each member finds value in membership and is, in turn, influenced by the group towards group behaviour norms. Value comes from the basic human desire to join, to not be left isolated. A group member will stay a member, physically and metaphorically, for as long as their affiliation needs are being met. Secondly, each member is supported technically and emotionally in their endeavours by other group members. It’s for the manager therefore to appoint the right members and engineer the right behaviour norms through the introduction of useful work processes and periodic other interventions. The manager’s aim here is to have group outcomes exceed the outcomes that would otherwise be realised by a plurality of individuals each with a dyadic relationship with the manager. Inevitably members form opinions about one another. Members also form opinions about their own position in the group and they work to optimise that position. They engage in exchange and as a result grow to trust one another. The more they exchange and the greater the value of the objects of that exchange, the greater the value placed in the intra-group relationships. Groups develop. They evolve. Relationships between group members change. Trust grows – and is sometimes broken. Many members are committed and (hopefully) a few can't wait to leave. Change comes through pressure from the environment outside the group, from leavers and joiners and from manager interventions. Over time, those group behaviour norms form a group culture or climate and each group becomes an identifiable entity simply as a result of its members and their interaction. To realise the benefits of groups, managers need group members to cooperate. Ultimately, they need group members to be reliable. When one member says they’ll do something for another, that’s a commitment and must happen or the group function is damaged and with that, future group outcomes. Managers can build members to be trusted colleagues by teaching the idea of a contract as an exchange. The intra-group process works like this. Where one member asks another for help, the requestor must set out what’s needed and by when. The requestee has the right to negotiate. It may be that only half of the activity can be completed in the time. Or it may be that some other commitment that the requestee has already made to another member prevents accepting this new contract and the request is impossible given current resources. In this latter case, perhaps the manager must be asked to adjudicate. Ultimately, the negotiation leads to a deal that is acceptable to both parties – a compromise. The requestor accepts because he or she needs help and the requestee accepts because he or she expects to likewise need help from the requestor and other members in the future. Each member has multiple contracts forming and maturing with every other member. Where members are dislocated in time and space, such as with remote working or international projects, this inter-member contracting becomes all the more important. Here group managers must maximise the use of computer mediated communications with specific applications to enable the practice. But here’s the rub. As the requested activity proceeds, any risk to the contract between the group members must cause them to meet again. They must discuss how the integrity of the contract is to be maintained. It’s no use waiting until the day of delivery to announce that what was agreed was all impossible anyway! Group performance is the aggregate of the performance of all the individuals plus a bonus that stems from collective activity such as innovation and learning. But group work must be managed such that relationships are maintained and flourish. 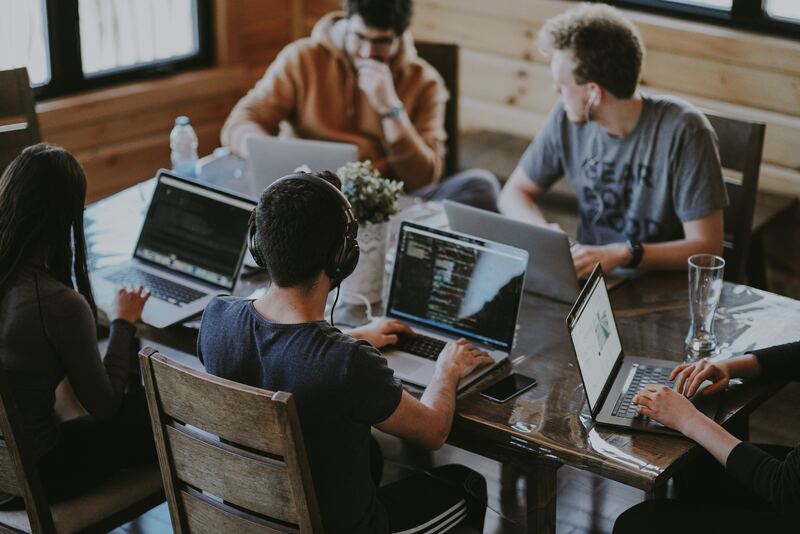 In this blog, we’ve driven a wedge between the team that trains hard and works hard together and the more usual group found in most businesses that functions as a result of good cooperation. Driven by strong marketing messages from the teambuilding industry, many managers believe that they need the qualities of the former but they have only the budget for the latter. In fact, they are misled. Cooperative groups are natural in society and hence they are easier to set up and sustain. And their costs are modest and their benefits large. Commentators are also too eager to evangelise teamworking. Often, they attribute good group function to ‘team work’ when in fact it was cooperation that made operation a success. In reality, few firms need teams. But everyone needs cooperative colleagues. There are techniques to achieve this cooperation. For more, call us.